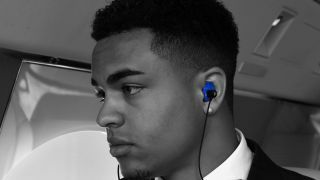 Custom molded in-ear monitors can be a bit luxurious, but the solution offered by tech start-up Decibullz could provide a more comfortably-priced DIY alternative. Part of the regular process of purchasing custom-molded earphones involves visiting an audiologist to produce impressions of your ears, which is an external cost to the earphones themselves. With Decibullz, you simply whack the wingtips in boiling water, wait a little while, and then keep them in your ears until the thermoplastic has set. As a bonus, if you stuff up the process somehow, or you want to pass the Decibullz on to someone else, you can repeat the process to reset the mold. While not strictly being sold as monitors, the custom molded ear-piece means you can experience similar levels of seal as the professional grade alternatives — reducing external noises and ensuring the pieces stay in place comfortably. The company offers both wired and wireless options, starting at $60 (around £48 or AU$82) and $150 (around £120 or AU$205) respectively, as well as plain old earplugs if you happen to enjoy the sound of silence. The earphones are currently only available directly from the supplier’s website, although they do ship outside the US for a fee.